Get ready to get cheap Battlecries. Hearthstone players who love cards with a great Battlecry or Deathrattle will love the latest neutral Legendary revealed for the upcoming expansion, Rise of Shadows. Jepetto Joybuzz is a Legendary minion that costs eight mana and has 6/6 stats. 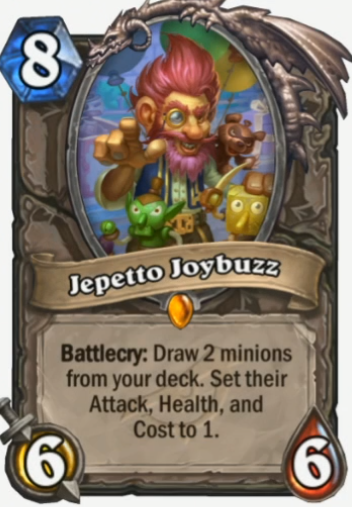 Jepetto’s expensive for its stats, but he comes with a Battlecry that makes the player draw two minions from their deck and set their Attack, Health, and Cost to one. Having minions reduced that low might seem useless if you’re thinking about a deck with big minions, but it can be game-changing when you fill the deck with cards that have incredible Battlecries, Deathrattles, or continuous effects but are far too expensive to let you pull off combos. With Jepetto, you can enable combos like a one-turn kill Malygos Druid without cards that give you mana, or trigger any expensive Battlecry for one mana. It’s still too soon to guess all the ways people can use Jepetto in their matches. 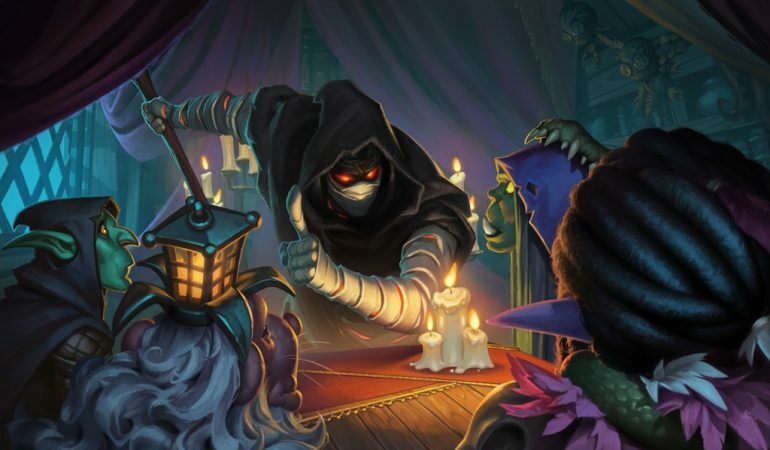 We will have more ideas about some of them once the cards is ready to use in Hearthstone as soon as the Rise of Shadows expansion is live by April 9. There’s a discount for players who want to buy the expansion’s card packs on pre-sale live now. A 50-pack bundle is on sale for $49.99 and a big one with 80 packs is available for $79.99.